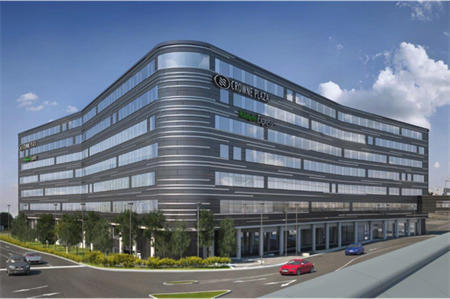 IHG is to open an adjoined Crowne Plaza hotel and a Holiday Inn Express at Heathrow Airport Terminal 4. Crowne Plaza London - Heathrow Terminal 4 and Holiday Inn Express London - Heathrow Terminal 4 will operate under a franchise agreement with IHG and will be managed by Arora Hotels. Both hotel will be directly connected to Terminal 4 and will open in 2018. The Crowne Plaza hotel will have 300 rooms and a range of business and meeting facilities, including five meeting rooms and two boardrooms. The 450-room Holiday Inn Express will feature the latest technology and an Express Café and Bar. The two hotels will be located within walking distance from Heathrow’s terminals via an air bridge and will also have direct access to the London Underground, Heathrow Express train service and nearby motorways.